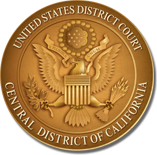 In 1999, the United States District Court for the Central District of California created a volunteer panel of private law firms to represent plaintiffs in prisoner civil rights cases filed pursuant to 42 U.S.C. § 1983 or Bivens v. Six Unknown Fed. Narcotics Agents, 403 U.S. 388, 91 S. Ct. 1999, 29 L. Ed. 2d 619 (1971). Prisoner civil rights cases were chosen as the focus of the panel because these cases present important and complex issues of constitutional law which impact our entire community. Also, the plaintiffs, who have restricted access to the world outside of their institution, typically have no means to obtain private counsel. These cases are only referred for appointment after the prisoner’s case has survived a dispositive motion or if the assigned judge determines that the appointment of counsel is appropriate in a particular case. Thus, by the time an appointment is made, a judge has determined that a material issue of fact exists for trial and that the plaintiff’s claims may have merit. If the attorney accepts the appointment, he or she may move to re-open discovery, but generally the appointed attorney appears for the purpose of representing the plaintiff at a settlement conference and trial. Participation on the Panel is particularly appealing to those law firms with associates desiring an immediate opportunity to strengthen their trial skills before a jury or federal judge. Approximately forty law firms in Los Angeles, Orange County and Riverside currently participate on the Panel. Panel members are expected to take at least one case a year and may be reimbursed up to $10,000.00 for costs expended in prosecuting a case. In addition, if the plaintiff obtains a judgment in his favor, the law firm may seek attorney’s fees from the defendants.